ProductCamps are based on the concept of BarCamps, the first of which was held in Palo Alto, California in 2005. It’s a reference to the hacker slang term, foobar. BarCamp arose as a tongue-in-cheek spin-off of Foo Camp, an annual invitation-only, participant-driven conference hosted by open source publishing luminary Tim O'Reilly. Where FooCamp was by invitation only, BarCamp would be democratic and open to all. BarCamps have been held in over 350 cities around the world, and even virtually over the Internet. 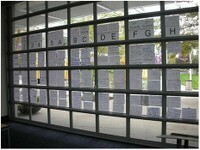 The first ProductCamp (aka P-CAMP) was held on March 15, 2008 in Mountain View, California. Word-of-mouth spread fast about this “unconference” (no registration fee, no agenda, no selling) and about 170 people showed up on a Saturday to discuss topics of interest to product managers, product marketers and a host of related roles. Following this event, many participants commented via blogs, wikis, and tweets. The idea went viral, and several other cities started ProductCamps of their own. Austin was first out of the gate with others following over subsequent months in 2008, 2009 and into 2010. Given the proliferation of ProductCamps, we thought it would be useful to summarize some best practices and hopefully these guidelines will help you organize or participate in an unconference in your local area. Has your travel budget been cut? Do you want to learn from peers outside your company? Are you looking for informal ways to "meet-and-greet" others? Do you presenting or leading roundtable discussions on timely industry topics? Are you unemployed or under-employed, and want to increase your network? Do you want to meet others who are passionate about product management and marketing? If the answer is “yes” to any of these, you should participate in ProductCamp. Have you ever attended an industry conference or company event and felt like you could have done it much better? Do you feel industry conferences have become too "sterile" or dominated by big vendors? Are there a lot of knowledgeable product management and marketing professionals in your area, but no good forum to get together? Would you like recognition in your community as someone that "gets things done"? Dozens of your peers around the world are planning ProductCamps for these reasons. Since ProductCamp is free to attend and typically held on a Saturday, it’s a low-risk way to expand your skills and your personal network. Plus, since it is "user-sponsored", it will not be a thinly veiled sales event – participants are strongly discouraged from selling or promoting products. ProductCamps are free, but there is a "cost" to attend. There are no passive “attendees”. Instead, everyone is referred to as a “participant” and expected to contribute in some way: presenting a session, coordinating sponsors, managing the venue, volunteering for setup and tear-down, or sitting on a discussion panel - there are many ways for people to participate. Information sharing is expected and encouraged. Everyone is urged to share information and experiences, both live and after the fact, via blogging, photo sharing, social bookmarking, tweeting, and wiki-ing. This open encouragement is in deliberate contrast to the "off-the-record" and "no recording" rules at many conferences. The “2-foot” rule applies: ProductCamp there are typically features concurrent sessions. If you feel you'll get more out of a different session, use your own "two feet" to move – no one should feel tied down. Networking is good! Because ProductCamps are held on a weekend and go all day, so participating is a commitment. The sacrifice in time and energy means only those who are really interested attend. Venues typically provide basic services. Free internet access and WiFi are crucial. Sponsors provide funding for "nice to haves" such as t-shirts, meals/snacks, signage, lanyards, etc. Attendance is free for the attendees and usually restricted only by the capacity of the venue. Due to the popularity of these events (and to assist in planning for meals, t-shirts, etc.) advance registration is often required. ProductCamps have been held at university-donated buildings, professional learning centers, and corporate offices. Atypical day begins with attendee registration and breakfast. Then participants are led to a "main-tent" session that explains the format, rules, and introduction of ProductCamp planners - bust more importantly, the opening session sets the tone that ProductCamp is by and for attendees, open and discussion-oriented, and most importantly, fun. 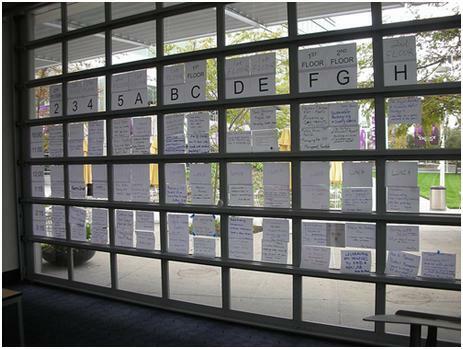 ProductCamps use an "Open Grid" to set the agenda. Presenters and roundtable facilitators submit topics prior to the event, or sometimes even on the morning before the event starts. A final agenda is created real-time, by and for the attendees. Session leaders are sometimes given 30 seconds in the welcome session to introduce themselves and their topic. Then it's time to vote! One popular technique is to give each participant 3 sticky notes when they arrive. Volunteers post the session topics in a central area and ask everyone to place the sticky notes under their top three choices. Sessions receiving the most votes are plotted on an "agenda sheet" in such a way to minimize topic conflicts. Based on interest level and available time slots, some e-topics may not make the agenda. It’s open, it's participant driven, and it really works! Sessions usually run 45-50 minutes with a break for lunch and plenty of “slack time” for informal networking. Most ProductCamps reserve a few meeting rooms for parallel sessions and list four to six time slots. The best ProductCamp sessions are the facilitated roundtable discussions – leveraging participant knowledge Notes, videos, photos are posted or linked to the ProductCamp website. It’s always fun to bring everyone together at the end of the day for a quick summary and to award prizes for best sessions. By this time, the group is comfortable and can get rather lively celebrating the hard work and start planning the next ProductCamp. Don't over-plan! Think of it as a fun way to get together and meet others to learn and network - not like a typical conference where events are pre-planned and controlled. Structure is good, but too much defeats the purpose. Make registration very easy. People won't register if they have to jump through hoops – e-mail address is the only personal information really needed at this stage. If you have trouble getting sponsors, sacrifice the t-shirts and breakfast. Assign a "go-to" person who is very organized and able to delegate - not do all the work. The time commitment varies (more time is needed closer to the event). Create a website and Twitter hashtag. Optional: create a Facebook page and LinkedIn Group. If you have a local Product Management Association, ask them to post the event on their site and in newsletters. Set up registration table set up for sign-in, t-shirt, sponsor give-aways, any information sheets, etc. Have name tags printed for those who pre-registered, blanks for walk-in registrations (remember to leave space for your participant's Twitter ID!). If you can, add session, break and lunch times to the back of the name tag. Encourage people to take pictures (a camera phone is often good enough) and post to Twitter or the event website or a Flickr page. Use the Twitter hashtag as a "keyword". A dedicated photographer is a plus. Set up rooms, including projectors, chairs, whiteboards, etc. If you need help in organizing one, just let us know. Pragmatic Institute has been involved with every ProductCamp and can provide sponsorship, promotion and get involved with the planning teams as a resource for questions and guidance. See a list of upcoming ProductCamps. John Milburn is CEO of Practical Growth Strategies, LLC where he and his team help companies to apply and implement market-driven principles. Prior to this, he was an instructor at Pragmatic Institute and has held executive and individual contributor roles in development, sales, and product management from startups to Fortune 100 companies. Email John at jmilburn@practicalgrowthstrategies.com, or visit his website at www.practicalgrowthstrategies.com.